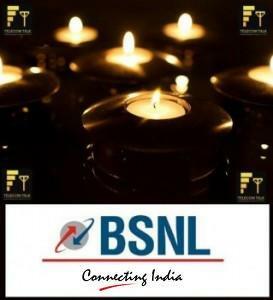 India’s National telecom Backbone and Mobile service provider Bharat Sanchar Nigam Ltd (BSNL) today announced the launch of 2 New Special tariff Vouchers STV-61 & STV-65 for Night calling facility at reduced rates under 2G & 3G Prepaid Services in Karnataka telecom circle. BSNL Karnataka’s STV-61 enabled its subscribers to make all own network local calls just for 30p day time and 10 paisa during night hours. The STD and other network call charges during night hours (11.00 PM to 06.00 AM) will be 30 paisa per minute across all networks. STV-65 offers 10p/minute Day and Night tariff for all own network local calls (BSNL to BSNL) with in Karnataka circle. While during night hours (11.00 PM to 06.00 AM) all Local and STD calls to any other network across India will be 30p/minute. Both STVs comes with tariff validity of 30 days form the date of recharge and can be activated by SMS. 2. BSNL (Karnataka) Customers can send SMS to activate these vouchers, by sending SMS STVVOICE61 or STVVOICE65 to 53733. Can I use BSNL’s Two tarrifs @44 and 65 at a time ?